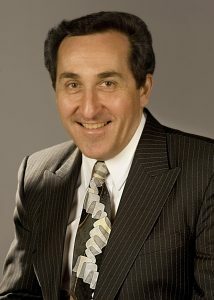 Jakab holds a BA, MA, and Ph.D. in American history from Rutgers University. He has been with NASM since 1983. In addition to his position in curatorial affairs, Jakab also serves as a Curator of Aeronautics at the museum. Jakab’s areas of specialization include the history of technology, aerospace history, and American social and cultural history. Prior museum work includes stays at the Edison National Historic Site, West Orange, N.J., and the New Jersey Historical Commission. He also spent a year with the Thomas A. Edison Papers Project and two years teaching American history at Rutgers University during his graduate study. At the NASM, he has curated numerous exhibitions and frequently lectured on the history of technology, the history of invention, and the Wright brothers and pioneer aviation. His most recent major exhibition is The Wright Brothers & the Invention of the Aerial Age, which opened at the National Air and Space Museum in October 2003. His publications include the books Visions of a Flying Machine: The Wright Brothers and the Process of Invention (Smithsonian Institution Press, 1990); Icare: revue de l’aviation française, #147, Les Frères Wright, 1994; The Published Writings of Wilbur and Orville Wright (Smithsonian Institution Press, 2000), and The Wright Brothers and the Invention of the Aerial.